Stock market indexes increased by at least 2.3% during last week. As discussed in the previous market review (s), we have been approaching the important resistances, which were mostly broken last week. Given that the stocks have bounced now from their lows into finally interesting price levels, are we already through the worst or is it only coming? Thus, the economic growth is supported well by fundamentals signaling a continuing trend of a bull market in the US equities. The individual stock market indices are positioning for a further rise and hence, this is a good time to enter the market with a selection of trendy good quality stocks. 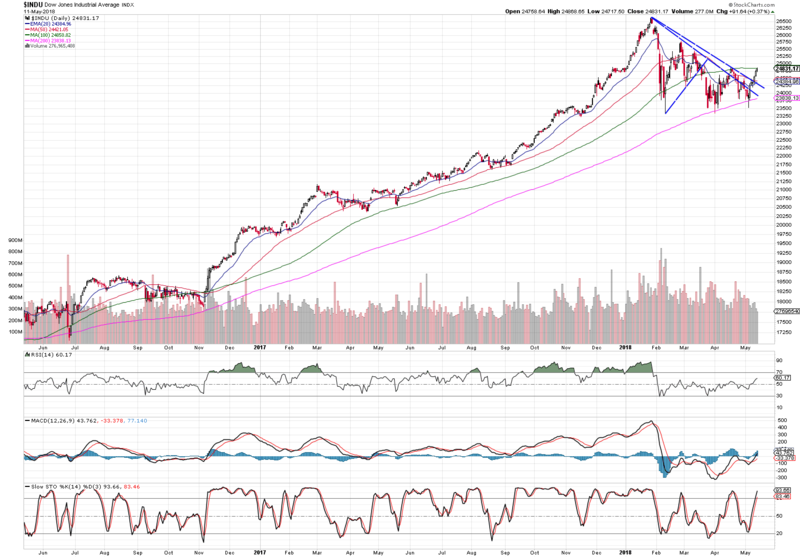 S&P has completed a descending triangle pattern. The upper trend line was broken and the further increase is expected. 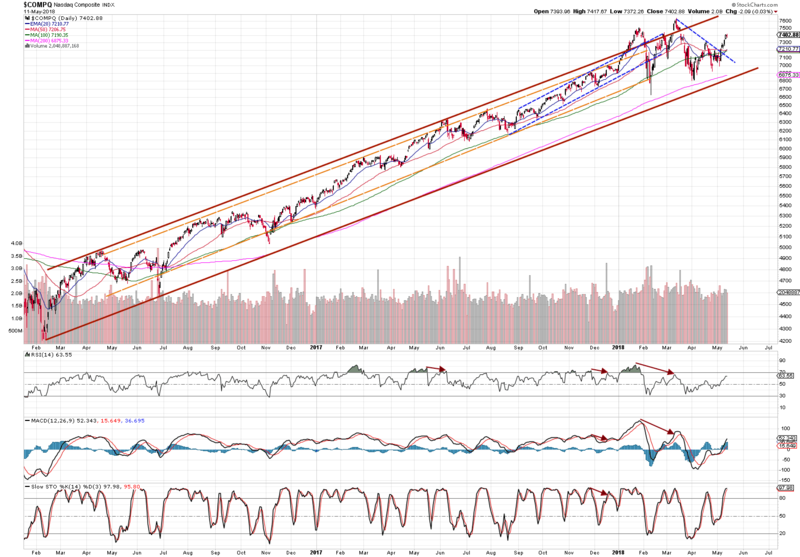 Although the index has breached its trend line resistances (blue lines), it is still between 100 and 200 SMAs. If 100 SMA isn’t broken, it may keep going sideways for some time. In the previous weeks I have introduced a short-term trading game of Nasdaq and until now it has played pretty well. This is now over and the game is transforming into long-term. 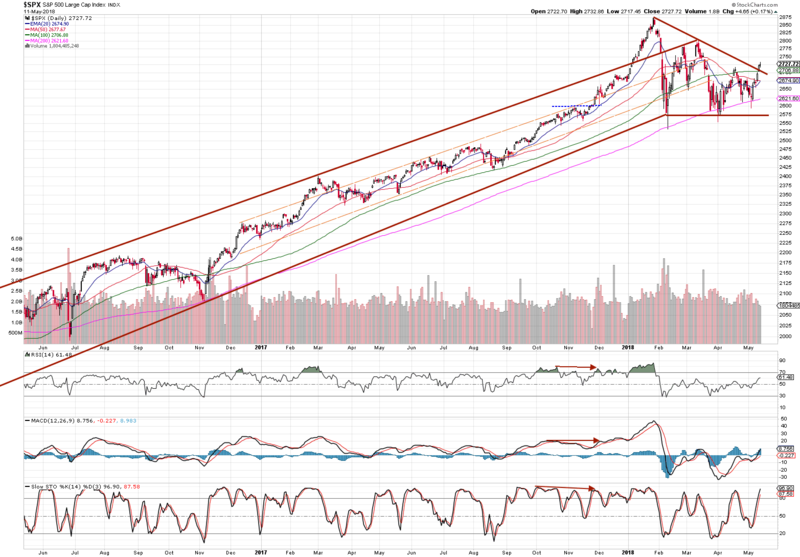 The index is the best performing and as seen below, it is now setting up for an upward mode. The UK’s index is running on a sharp swing. It is going to test its highest high, where the consolidation will very likely occur. So watch out! All of these events are important market moving elements, which may increase volatility and unprecedented movements in the stock market. Thus, it is important to stay disciplined and focused on the big picture of the trend!